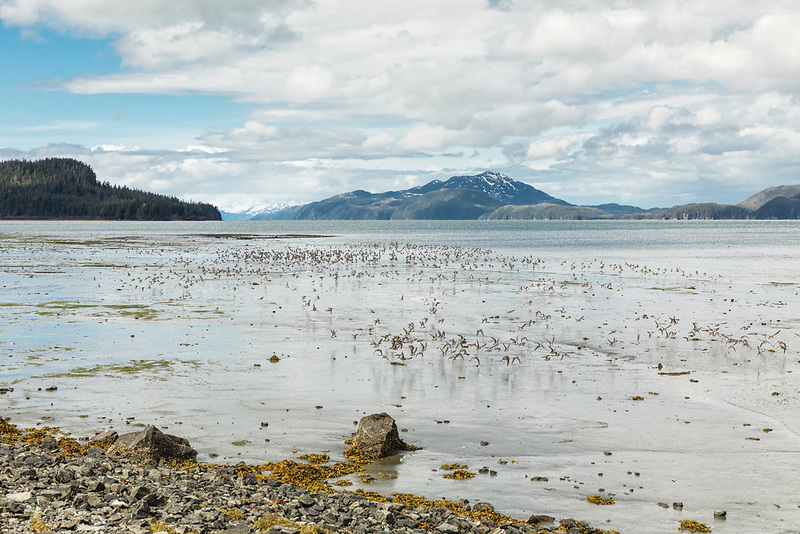 Western Sandpipers (Calidris mauri) visit Hartney Bay in the Copper River Delta in Southcentral Alaska to refuel on their migration to the Arctic breeding grounds. Spring. Morning.